Enticer- 300m swim, 10k ride, 2.5k run. Yep that’s me on my very old Merida road bike struggling through a 10k ride, I never thought I’d be able to do a triathlon. I couldn’t swim, hadn’t been on a bike since I was 17 & the last time I ran was 10yrs earlier. I used to watch a mate do triathlons & told him regularly he was mad, that same mate trained me to do my first race. I couldn’t tell you what time I did, but I can tell you how good I felt about myself when I crossed the finish line. I’ve been back & competed at Raby Bay several times individually & with my wife in a team, it’s a great venue. So I’m hooked, which race can I do next ? A couple of mates told me of a race they were doing out west in a town called Goondiwindi, race was called Hell of The West . 2k swim, 80k ride, 20k run, easy I’ve got 3 months to train for it , no worries I’ve done a triathlon ! For those of you who have raced Goondiwindi you’ll no how foolish I was, there is a reason they call it Hell of The West. Well I trained a bit & raced Hell of The West, 8hrs & 15minutes after the start I finish, LAST. I had never experianced pain like it did I feel good ? NO, I was so happy it was over & said to my mate’s om that never again. 3 months later I was training again I had learn’t alot from that race, not only about the importance of training properly but about myself. A fellow competitor said to me after the race “well done”, I said what for ? He told me “for finishing the race & for putting up with over 8hrs of pain. I didn’t realize then but that race has played a big part in my life since. 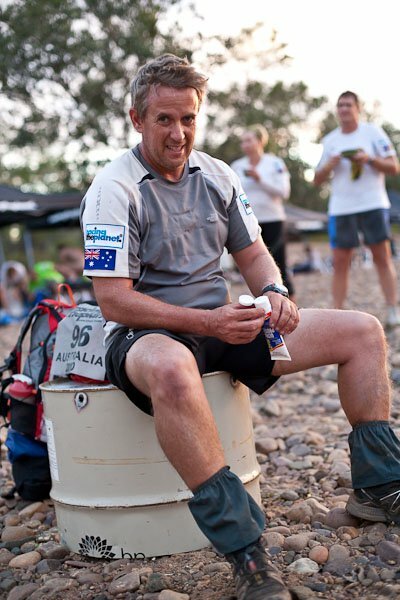 This was a 250k race through the Kimberleys in Western Australia in 50 degree heat with extreme humidity, seemed like a good idea at the time. Tore my left calf muscle 55k in and that was my race done, spent the rest of my time out there soaking up a very beautiful part of Australia. Racing the planet, Kimberlys, WA. Everyone loves this race, great course & great location, I’ve never done it as an individual but competed several times in a team. I competed in the inaugural race in 2013 on a 6 week training program, had back surgery 3 months before the race. Unfortunately I missed the bike cutoff by a few minutes & didn’t get on the run leg, but enjoyed the 2 legs I did. 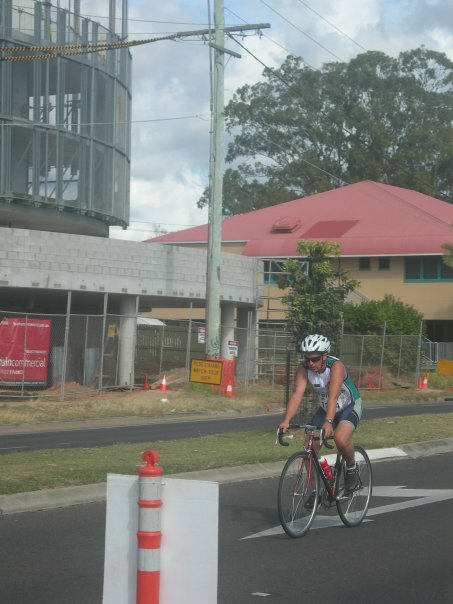 Mooloolaba is such a great venue for any triathlon as the course is reasonably flat & very picturesque. This race was my sons first Half Ironman & he finished it despite suffering in the heat on the run leg. Another great course and very enjoyable weekend. I competed there with my wife , it was her first Olympic distance & she loved it, Tide assisted swim, flat ride & nice run quite hot the day we did it , highly recommended. I competed here in 2009 as preparation for an attempt at my first Ironman, I really enjoyed the swim . We walked down the beach for the start of the race , the course took us straight back up the coast 1.9k & I spent time taking in the scenery as I was swimming. The bike leg was flat however the road surface was quite harsh back then, the run was pretty cool the way it meandered around the resort pools. Probably will be the most memorable race for me as it was my first Ironman and I had been diagnosed with lung disease 6 months before, my Doctor was not that keen on me doing it. Port was tough, cold, hills & a long day it wasn’t until the 40k marker on the run that I realised I was going to finish the race in under 17 hours. I had made the bike cut off by 15 minutes & thought about pulling out of the race then as I didn’t feel to flash & was struggling to breathe. I spent 15 minutes in transition before deciding to continue, a decision I’m very happy with now but at the time I kept thinking why am doing this. I puffed & wheezed through 42.2 k’s finished the race & swore I’d never do it again. So much for never again. I enjoyed the actual race much more than Port Macquarie mainly because I knew at around the 20k mark on the run I was going to finish also I had learnt how to control my breathing better than when I did Port, so I was in a better physical place. The swim was enjoyable PB, the bike was easier then Port PB & the run was very scenic & pretty flat no PB, maybe I was admiring the scenery to much…. Wow, Im blown away by your athletic abilities and accomplishments. Congrats to you!